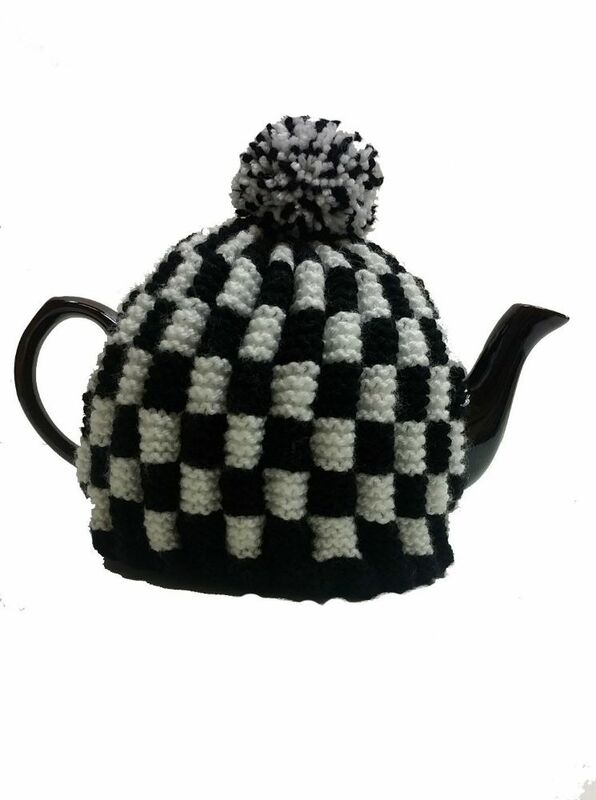 Tea Cosy Black & White Check Retro for 4 to 6 Cup (1ltr) Pot. The design of this cozy traps a layer of air which acts an additional insulation keeping you tea warm for longer than the average cozy. Each Cozy is hand Knit by Grandma's so there is a limited supply. Whilst you are here why not check out our wonderful selection of loose leaf Tea?